Tampering with horsepower outputs unnerves automakers and makes us very happy. To those stuck in the past, the letters DMC bring back memories of stainless steel bodies and gullwing doors blazing back to the future at 88 mph. Nowadays the three letters are the name of a famous tuner and not an acronym for “DeLorean Motor Company.” The German tuner has been a hit in Asia and the Middle East, and the recognition it’s gained by tuning the world’s hottest cars to make them a bit more unique has earned it a booth at the 2017 Geneva Motor Show. With it DMC brought two Lamborghinis and a Mercedes, all tuned to be much better prospects than the factory cars they started as. The two Lamborghinis are the stars of the booth, but it’s the white Huracan QV5000 that’s the show stopper. Spec’d as a tribute to the all white Lamborghini Countach, it features a fin stuck the the bottom of the front bumper with long vertical fins on the sides directing the air over the side skirts and into the side air intakes. At the rear is a diffuser to keep the air friendly theme going while a massive aftermarket spoiler is stacked on top and looks large enough to make the Huracan Performante question its virility. Power output has been upped massively with a tune of 1,088 horsepower available with the help of two turbos. 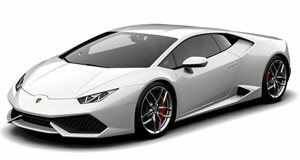 A Huracan QV5000 lite is available too and gets only an ECU tune, although the clear engine cover will give away the lack of spools feeding the engine. All of these modifications make the DMC Berlin Edition Lamborghini seem subdued, but that could also be because of its black color scheme that makes it look like a stealth fighter. Speaking of stealth, the DMC C63 Extreme – based off of the Mercedes-AMG C63 S – is no such thing. It also receives a darkened color scheme but in this case the body goes gray before gaining a massive front splitter and an optional set of driving lights to make it stand out at night. 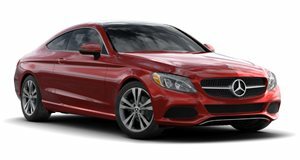 The lower lip up front not only makes the Mercedes look wider and more aggressive, but it also helps add downforce. The rear of the car can be had with a diffuser to go along with the black wing and blacked out 20-inch wheels. The DMC C63 Extreme also gets a suspension kit that squats the car 20 mm lower than the stock vehicle while tires with staggered width help the engine put down all of the 600 horsepower it makes after a simple ECU tune and aftermarket exhaust installation. Unlike the rest of the one-offs we've seen at Geneva, you can actually purchase these cars today.